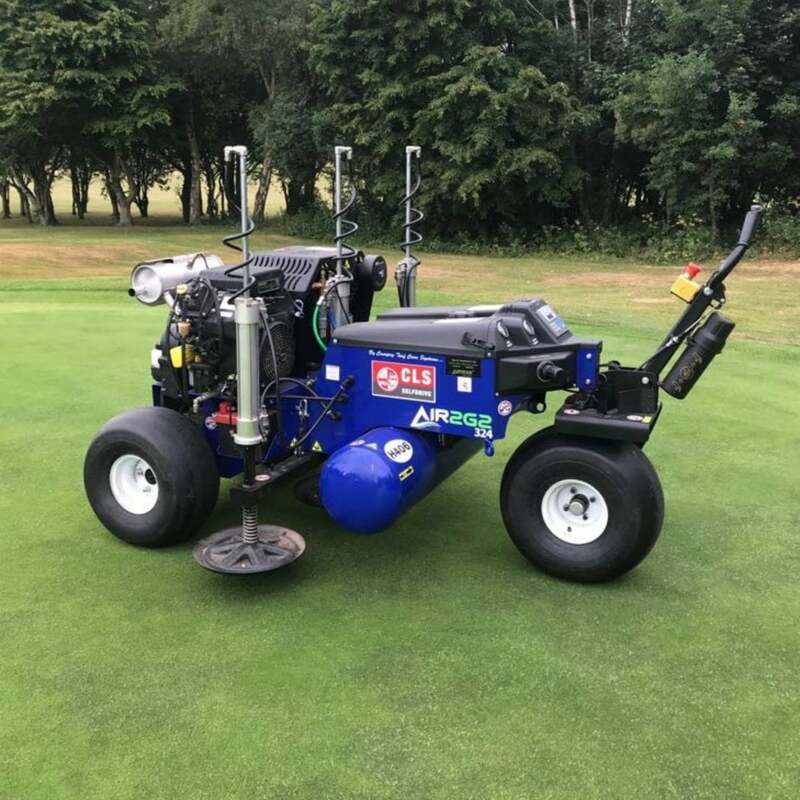 The Air 2G2 is a self-propelled hydrostatic drive three probe air injection machine, injecting compressed air to either 7” or 12” deep (depending upon probe fitting). This causes a fracturing effect of the compacted rootzone, with no surface disruption. Air is injected vertically and horizontally over an area of 5ft (1.5m) to 12” (30cms) deep. Self-contained three wheel, Kholer 19hp petrol engine, hydrostatic drive axle, steered by the handles, move forward or reverse. Ingersoll Rand two stage compressor. All processes automatically controlled by the push of a button, and setting of computer pad. Ideal for use on fine turf throughout the growing season with no interruption to play. Made in USA.